I am muffin obsessed. 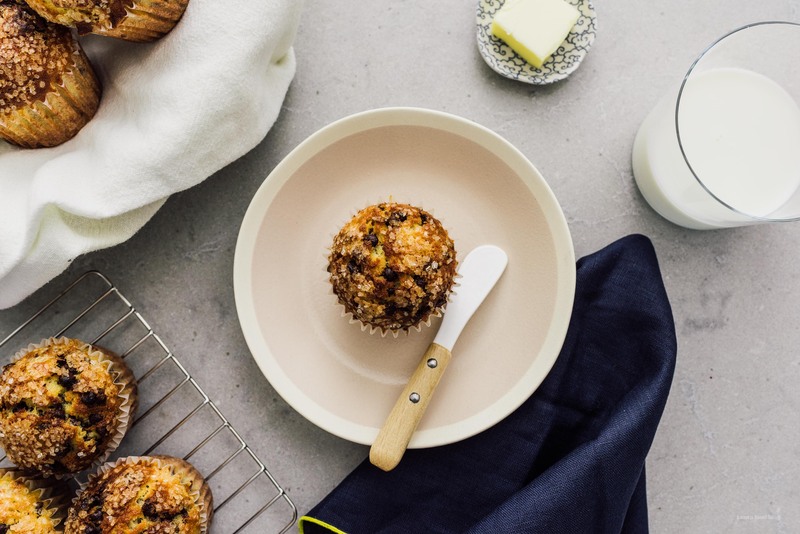 Ever since the blueberry muffin making (see here), I’ve had muffins on my mind. I’m constantly asking Mike questions like: if I add cheese and take out the blueberries, do you think the Jordan Marsh recipe will work, or what do you think of raspberry and mascarpone muffins? For some reason I think Mike is a muffin master even though he claims he isn’t. He is the one who introduced me to that dreamy blueberry muffin recipe though, so there’s that. 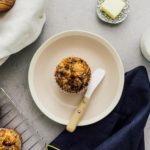 I wanted to take everything good about this blueberry muffin recipe – tender insides, a tall muffin cap, and a crispy-crunchy sugar crust – and adapt it for a banana chocolate chip muffin because, bananas and chocolate are best friends forever. Originally, I was literally just going to swap out the blueberries for mashed bananas, but after a quick conversation with Mike, I realized that I’d have to take out the milk too. With the milk taken out entirely and the extra moisture from the mashed bananas, the muffin batter looked super promising. I folded in a bunch of chocolate (a mix of mini chocolate chips and some chopped chocolate because I didn’t have enough for either on their own), scooped the mix into muffin tins, and topped them off with some sanding sugar. I’m convinced that sanding sugar makes all muffins excellent! 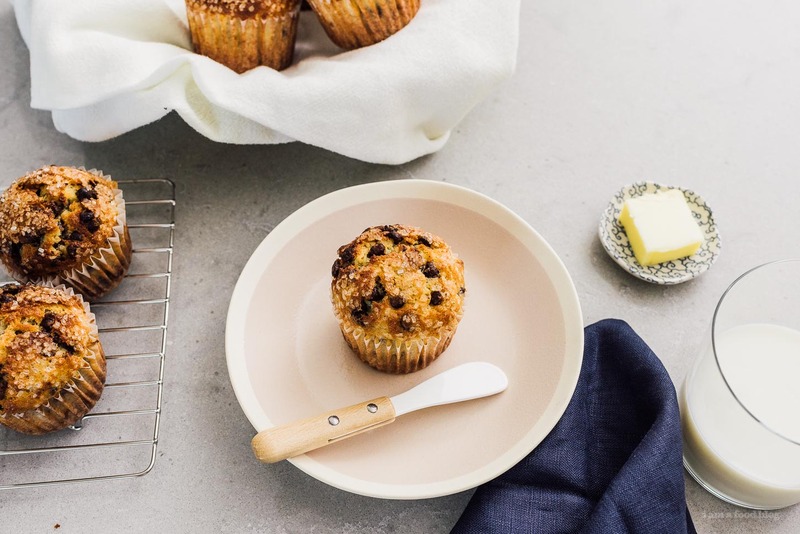 Even if you don’t make this muffin recipe, be sure to top your next one with sanding sugar because it’s both pretty and adds a bunch of textural interest. • really easy to make! Cream the butter and sugar until light. Add the egg, beating well. Stir in the vanilla. 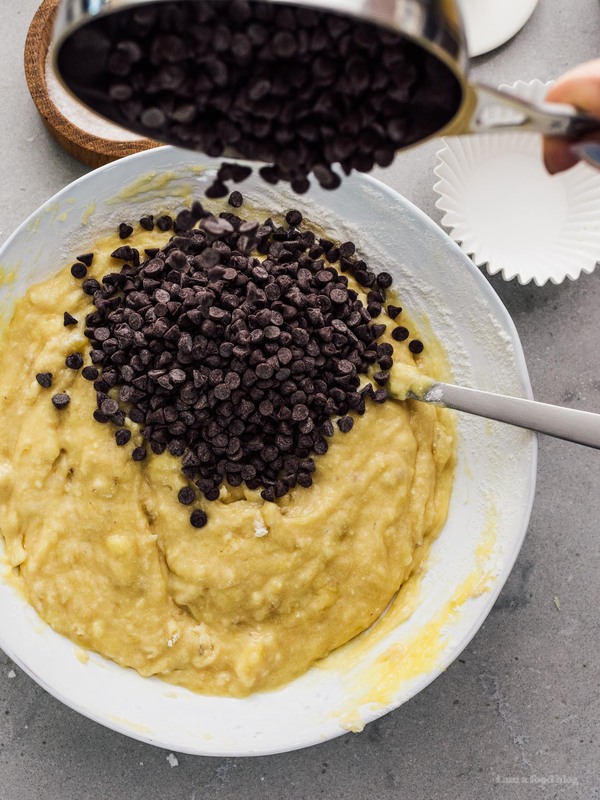 Sift together the flour, salt and baking powder, and add to the creamed mixture alternately with the mashed banana: flour, banana, flour, banana, ending on flour. Fold in the chocolate chips. 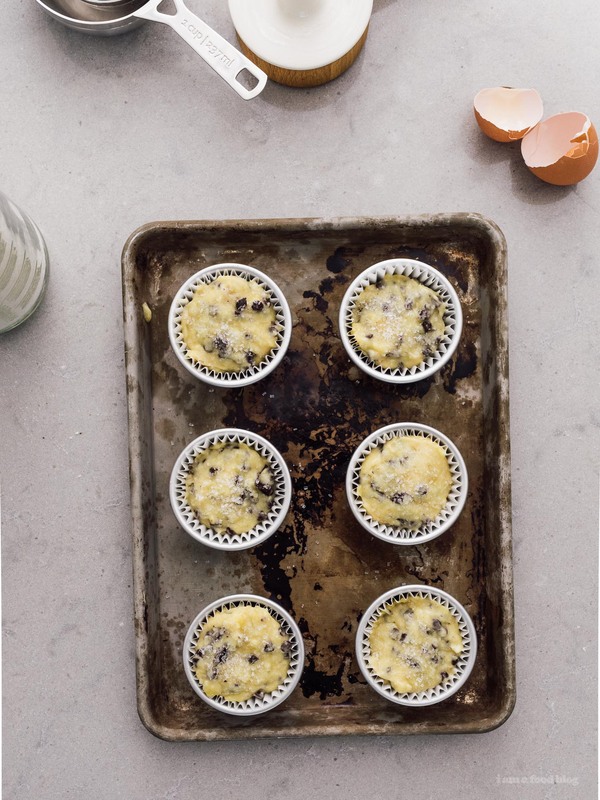 Line a standard muffin tin with 6 liners, and fill equally with the batter. 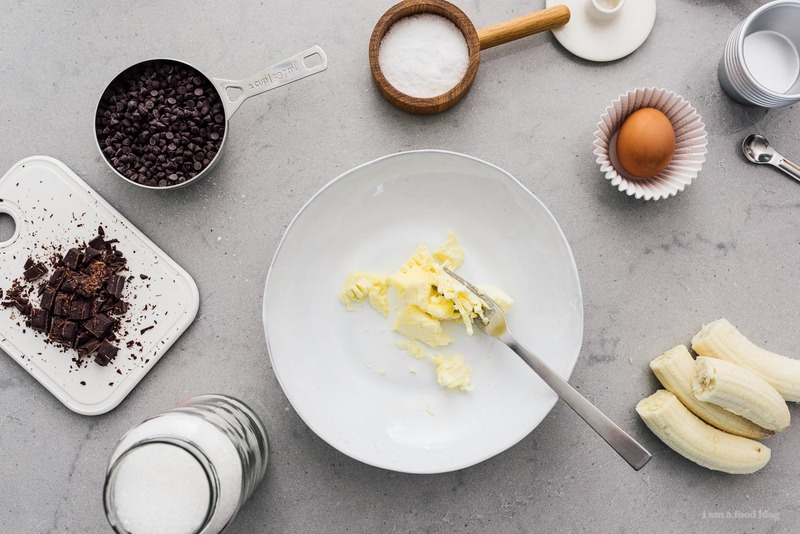 (I ended up with 7 muffins, but this will depend on your banana size) Sprinkle the sanding sugar over the tops of the muffins, and bake at for 30-35 minutes, or until the tops are golden and toothpick comes out clean. 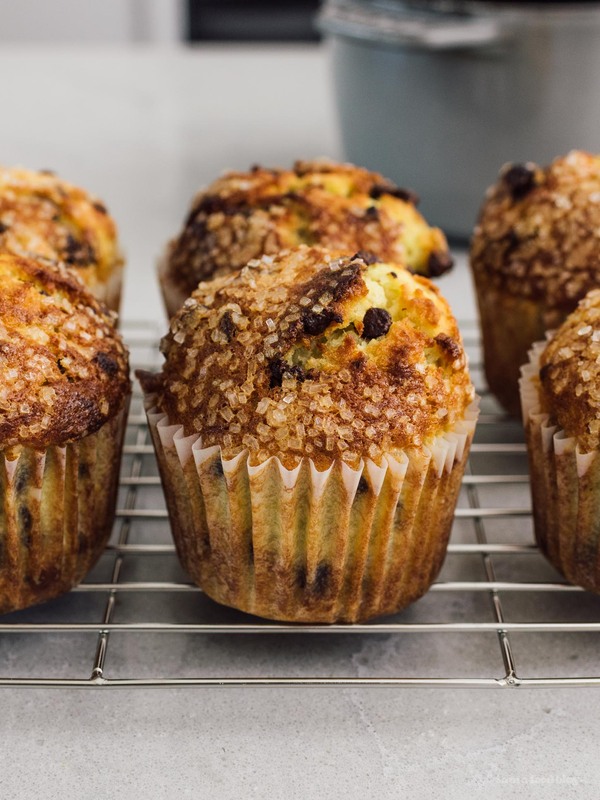 Remove muffins from tin, cool, and enjoy! WOW these looks absolutely amazing! 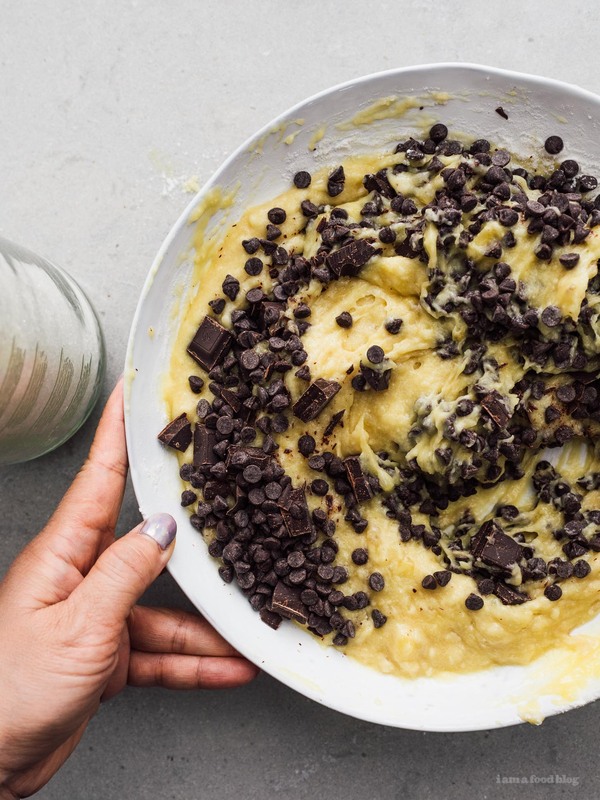 I love banana chocolate chip muffins and these look simply delicious and perfect for brunch! they’re from japan! these ones look pretty close to what i have :) and here are some that are the same shape but non stick. hope that helps! 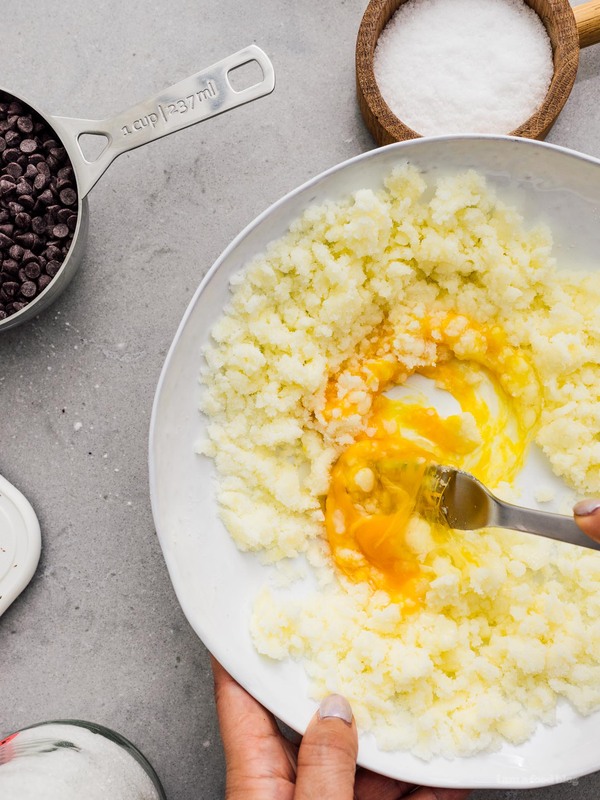 Such a great recipe – thank you! Can i ask where you bought your butter knife in the main photo? thank you!